Please note, you must be logged in to your account to see our prices. 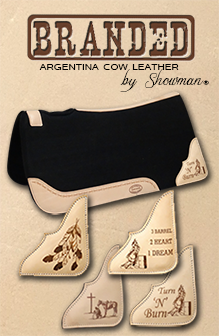 Showman ® Embossed leather headstall and breast collar set with cross conchos. 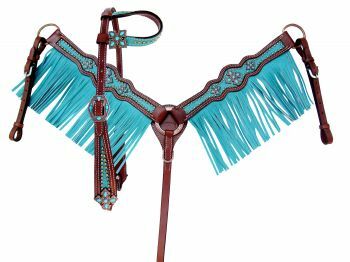 This headstall and breast collar set features medium leather with a turqoise embossed design and accented with cross conhchos and copper studs. Headstall comes with 5/8" x 7' leather split reins. Please note this Website is intended for WHOLESALERS Only, if you are not a dealer and do not have a Federal Tax ID# associated with an equine business, please contact a Showman® dealer near you!